Jewelry stores Luvari and eWeddingBands updated their range of custom jewelry to meet the demands of clients looking for a solid investment in precious metals, as well as professionally crafted wedding bands and engagement rings. EweddingBands and Luvari, two companies specializing in high-quality jewelry, announced an updated collection of gold, platinum and palladium jewelry, as well as custom jewelry design services for anyone looking to invest in precious metals. The announcement comes after recent developments suggest that now may be an ideal time to purchase jewelry. More information can be found at https://www.e-weddingbands.com. According to CMC Markets, both gold and palladium show strong potential for future growth, having demonstrated a healthy recent trend in early 2019. An ETF Trends report suggests that gold can hit the $1,400 mark in 2019, while a recent possibility of a Russian ban on palladium has also driven up the price of this rare metal. Combined with the potential for an economic slowdown to further increase the value of gold and palladium, investing in precious metals may be a sound financial decision. EweddingBands offers a wide collection of wedding bands and engagement rings made of gold, platinum, palladium, silver and other metals. All pieces can be personalized with an engraving of the client’s choice, and are available in a variety of sizes. Sister company Luvari specializes in custom-made jewelry, working with a team of expert craftsmen to create unique jewelry based on each client’s ideas. 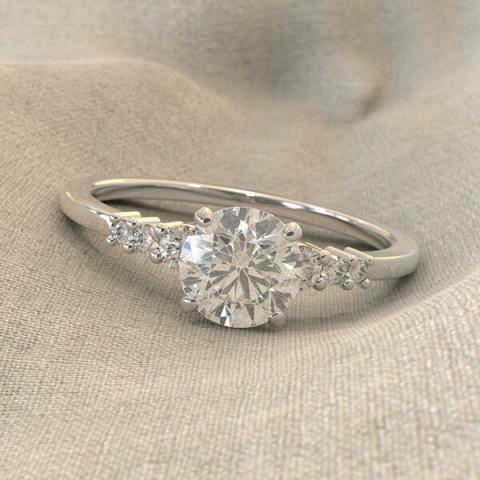 The company uses 3D technology to create flawless renditions of the final piece, adjust the final version to ensure that it meets the expectations of each client, and finally create the ring using high-quality 3D printers. The gemstones are set by hand by the master goldsmith. Interested parties can find more information by visiting the above-mentioned website, as well as at https://www.luvari.com.